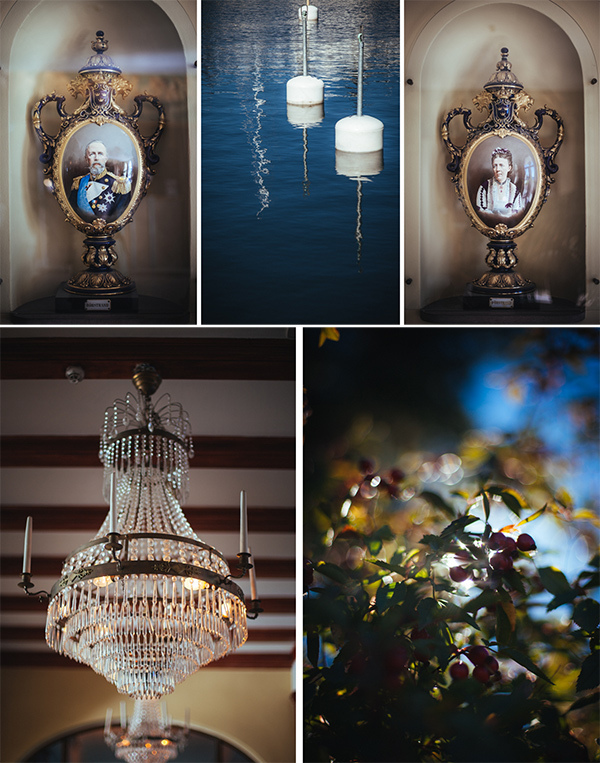 Shabnam & Iamail: Stockholm Bröllopsfotografering // Wedding Photography from Viva La Wedding on Vimeo. Shabnam and Iamail’s wedding was a truly splendid occasion! 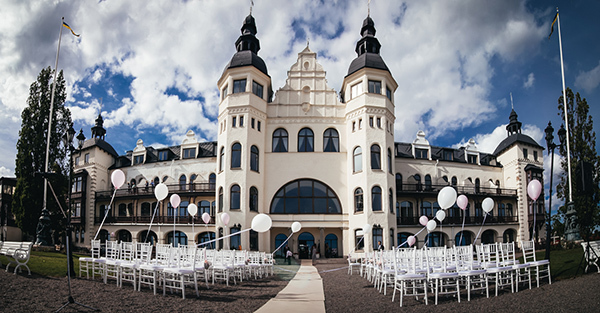 We love working in Sweden, so we were delighted to return there to film and photograph this couple’s incredible rollercoaster of a day! 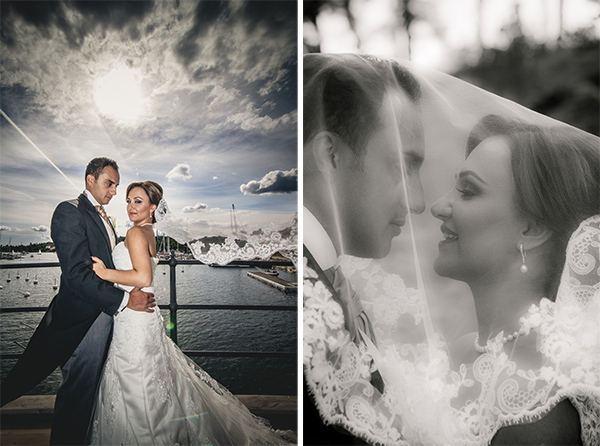 They incorporated Persian and Swedish traditions into their day and dazzled us with not one but two beautiful outfits! Shabnam and Iamail began the day with their civil ceremony, dressed in western wedding attire. Guille had already photographed the pair for their engagement shoot, so they were relaxed and at home in front of the lens. Shabnam looked amazing in her dress: Maxim by La Sposa and Iamail smouldered in his dark suit from Östermalms Frack & Smoking. 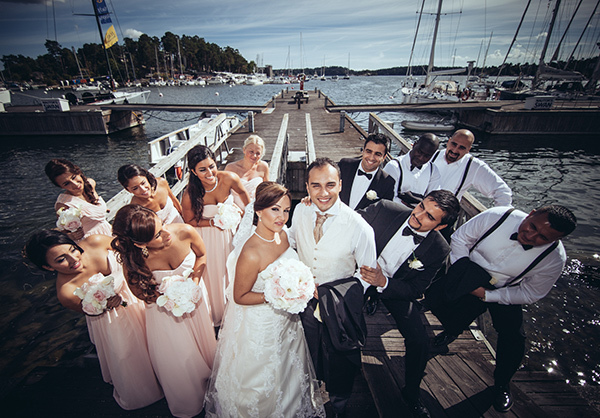 They chose to observe the Swedish custom of meeting secretly just before the ceremony, wearing their wedding finery. 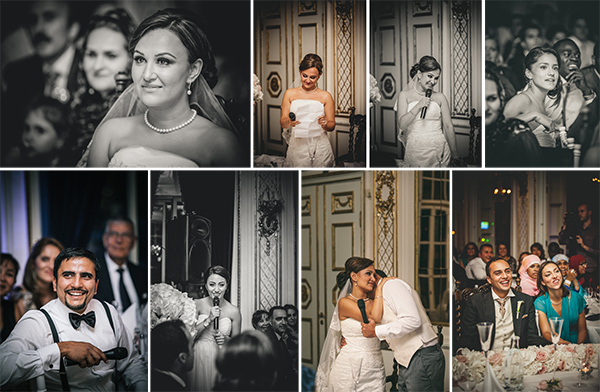 It was a very special and emotional moment, the sense of intimacy making it very different from a British wedding when the couple first see each other across a crowded room as the bride makes her big entrance! 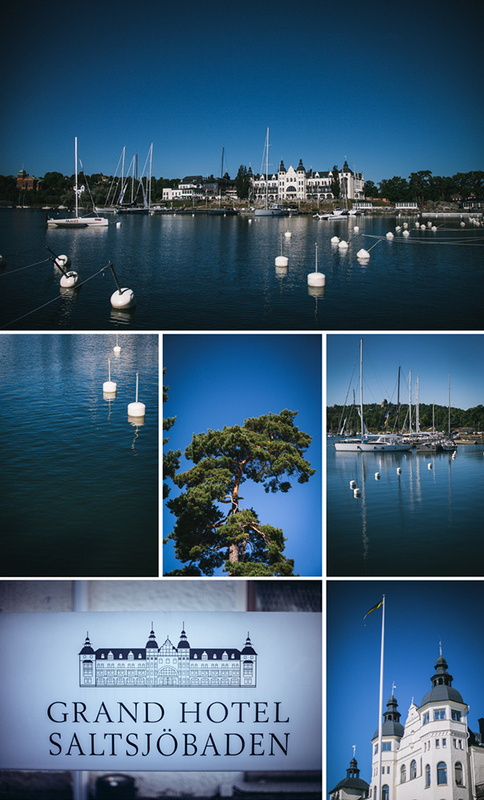 Their venue, Grand Hotel Saltsjöbaden, with its quayside location provided a fantastic backdrop for the photos of the wedding party. The bright blue sky really set off the bridesmaids’ peach coloured dresses from Jenjenhouse as well as Shabnam’s own gown. The couple organised their guests into a heart shape so Guille could photograph them from the top floor of the hotel, which made for a really fun shot! 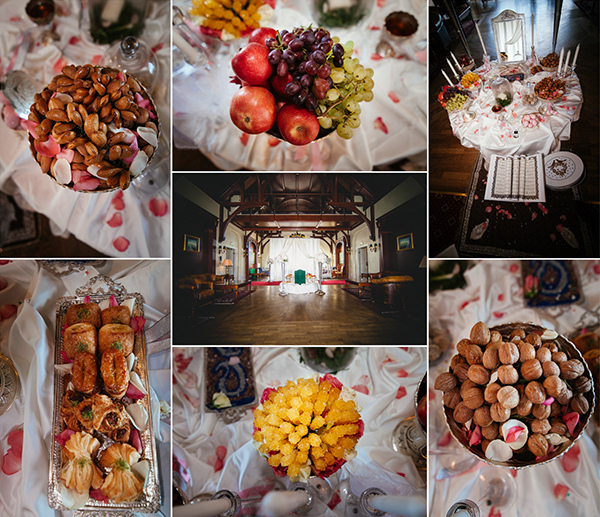 Next came the Persian wedding ceremony which was a visual feast! Persian weddings are rich in symbolism, originating in the ancient Zoroastrian culture. The ceremony is conducted next to the Sofre-ye-Aghd, an elaborate array of many different foodstuffs and other items, each with its own symbolic significance. These include seven herbs and pastries, blessed bread with caligraphy written upon it, eggs and nuts symbolising fertility, heavenly fruits, incense, coins, a sacred text which could be the Bible, Qu’ran or Torah, a prayer rug, two candleabras symbolising light and fire and lastly, the mirror of fate. 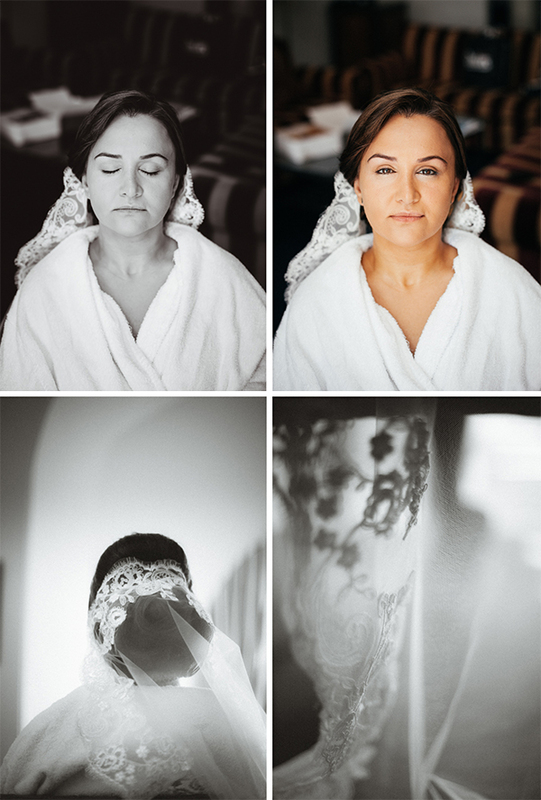 Bride Shabnam explains: “When the bride enters the room she has her veil covering her face. 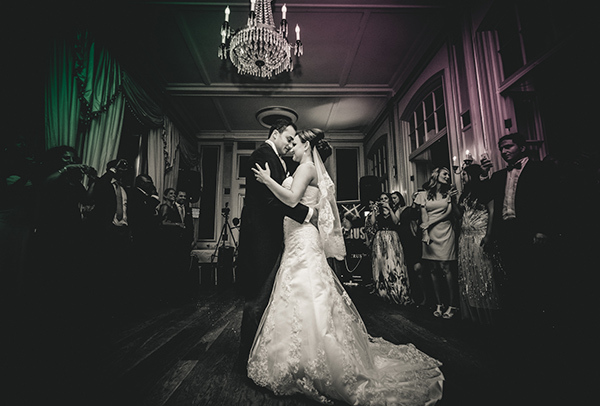 Once she sits beside the bridegroom, she removes her veil and the first thing that he sees in the mirror should be the reflection of his wife-to-be.” I think this is quite a magical tradition, and there are plenty more! “But the fun doesn’t stop there! In Persian tradition, cutting the cake is no easy matter. The knife that is used to cut the cake is stolen by female members of the wedding party, who perform the Ragsegh Chagoo or knife dance. Each time it is stolen the couple have to pay to retrieve the knife, but the dancer passes it to the next female relative, who continues the dance! A few dance moves later, the couple is finally given the knife and is able to cut the cake! 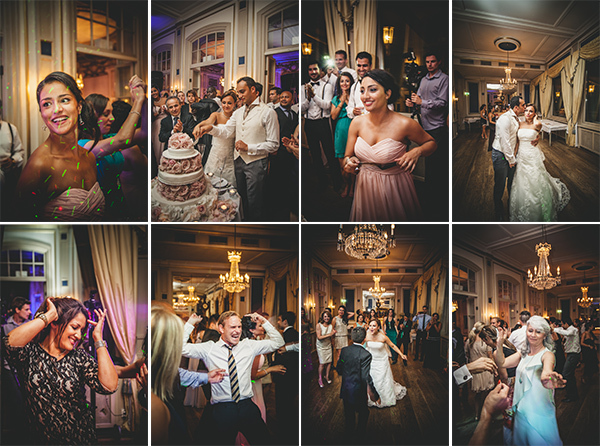 This is a favourite part of the wedding traditions for many and is always good fun! 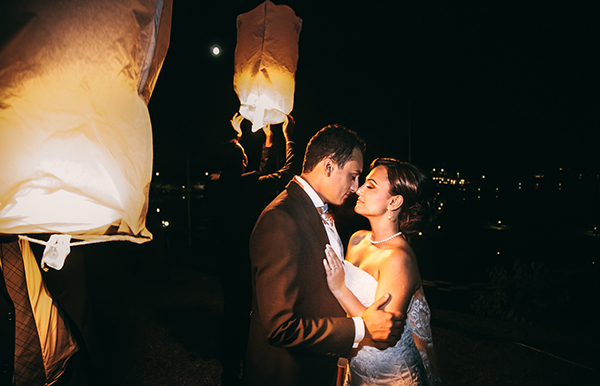 ” The evening brought more dancing, and an incredible display of fire dancing as well as a spectacular release of Chinese lanterns. The couple changed back into their western wedding outfits for the evening party and we were able to capture some beautiful images of them. It was a true pleasure to be part of Shabnam and Iamail’s wedding day. Congratulations guys! Grattis till ditt bröllop Shabnam och Iamail! 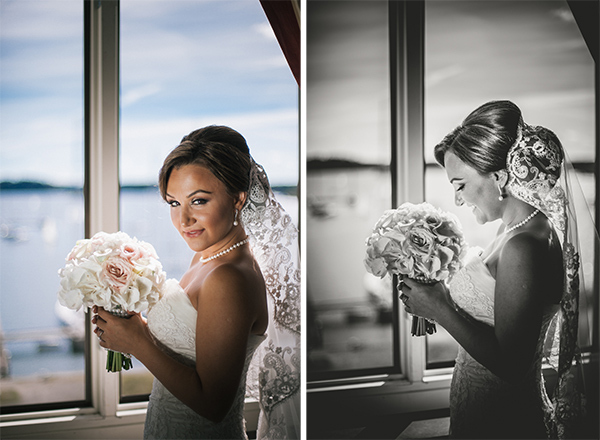 Stockholm Brollopsfotografering Photography and Videography by Viva la Wedding!